Ο ΕΛΛΗΝΙΚΟΣ ΟΡΥΚΤΟΣ ΠΛΟΥΤΟΣ: Review of mining/metallurgical industry in Greece, years 2011-2012.
Review of mining/metallurgical industry in Greece, years 2011-2012. 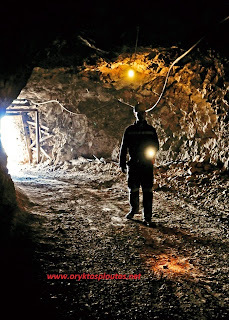 The recent economic crisis in Greece has impacted the mining industry. In years 2011-2012 the sector continued the same downward trend that emerged in previous years due to the economic crisis, following the significant decline in demand and prices of raw materials in the steel, construction, cement, and concrete industries. The recession boosted by volatility in the international markets for raw materials, reduction in international metal prices and increasing energy prices across the EU. The domestic market suffered a collapse mainly in the field of construction products (aggregates, cement, ceramics, etc.) and companies related to aggregate quarries and generally construction products as well as cement, face daily question of survival. The sector of construction aggregate materials fell gradually to 50 million tons in 2010 (from 90-100 million tons before crisis) to 35 million tons in 2011 and 25-29 million tons in 2012, marking an unprecedented downturn due to the shrinkage of domestic building and construction activity. However, in contrast to the shrinking domestic market, the tendency was to strengthen the export sector with regards to products placed on the international market (industrial minerals, aluminum, nickel, mixed sulphide Pb-Zn ores, magnesium compounds etc. ), where the demand and prices soon rallied largely to pre-crisis levels. For 2010-2011, prospects for recovery appeared in the industry internationally because of the escalating rise in demand for raw materials. In 2012, the same trend continued with the export sector producing satisfactory results, while the downturn in the domestic sector deepened widely. Specifically, for nickel (Ni) the biennium 2011-2012 was one of the most productive periods for LARKO GMM SA as production increased by 30%, thus reaching to an amount of 18.600 tn nickel from 2010 (approximately 14.000 tn Ni) and 2009 (low record of 8269 tn). The annual turnover for 2012 was 278.52 million euros (from 311.12 million in 2011) with significant volume in exports, which grew by 40% to 18.594 tons (for 2011) and 19,071 (for 2012), creating a new history record in sales. Production of nickeliferous laterite ore from the mines of Evia, Agios Ioannis and Kastoria (the total laterite ore production used to feed the Larymna metallurgical ferronickel plant) amounted to 2.25 million tn (for 2012) and 2.23 (for 2011). However, Larco G.M.M. S.A. (Larco), which is a leading producer of nickel in Europe from domestic nickel ores, had a pre-tax loss of 34,32 million € in 2012. The Government is reported to be looking for a strategic investor in Larco and announced plans to restructure ahead of its privatization in 2014. For aluminium (Al), the production by Aluminium SA remained at the same level as in 2011 (about 165 thousand tn) absorbing more than 75% of Greek production of bauxite. The domestic production of bauxite for 2012 (1.8 million tn) fell compared with 2011 (2.3 million tn) mainly due to the limitation demand for both metallurgical use (aluminum production) and other uses of Al in the steel industry, cement industry, etc. Greece was a leading bauxite producer in the EU, with the major bauxite deposits located in central Greece within the Parnassos-Ghiona geotectonic zone and on Evia Island. 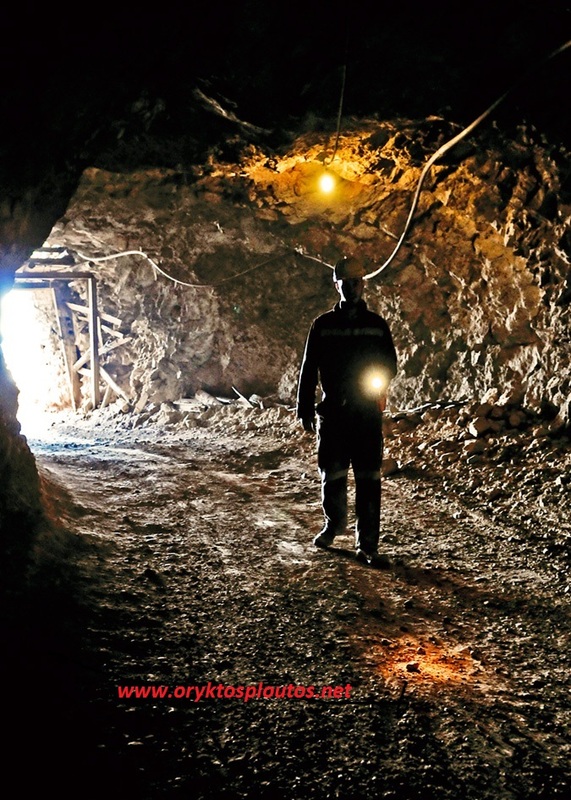 The production of mixed sulphide Pb-Zn ores (lead, zinc and iron concentrates) from HELLAS GOLD SA in 2012 remained at previous levels (over 217 thousand dry tn) and products of enrichment (concentrates of lead sulphide and zinc sulphide after differential flotation) exported as a whole exceeded a value of 46.4 million € (22.8 m € for Pb, 21.9 m € for Zn and 1,65 m € for FeS2), surpassing 2011 levels. Grecial Magnesite SA, a leading magnesite producer and exporter in the EU and worldwide, managed to maintain (with a relative shrinkage) previous levels of magnesium ore exploitation (over 540 thousand tn of raw material in 2011 and 351 thousand tn in 2012) and production of magnesium compounds (dead-burned and caustic-calcined magnesia) with a total sales value of approximately 40 million € (for 2011) and over 30 million € (for 2012). For 2012, the sector of industrial minerals maintained much of the results of 2011, mainly thanks to the diversified export-oriented products to commodity markets that have little affected by the downturn in the construction sector (eg. the North American markets). Specifically, production of bentonite and perlite ores remained at 2011 levels, with a slight increase for both bentonite (1.23 million tn) and perlite (876 thousand tn). The S & B Industrial Minerals SA maintained its position as the largest bentonite export company in the world with a total sales value of over 65 million € (100% exports). Similar performance was achieved for the branch of perlite, with a total sales value in both unprocessed and processed products of 30.8 million (compared with 33.4 million € in 2011). 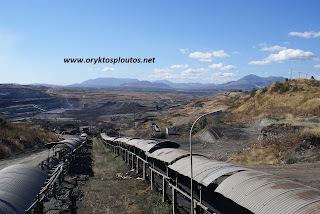 Despite the EU “20-20-20” targets involving gradual decrease in the lignite-fueled electricity production and consequently in the exploitation of coal domestic deposits, brown coal (“lignite”) production remained at before crisis levels (around 60 million tons mainly from Public Power Corp., PPC, Greece’s major producer of lignite from mines in Megalopolis and Ptolemais).